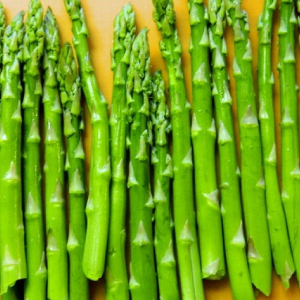 Asparagus is a home garden favorite. 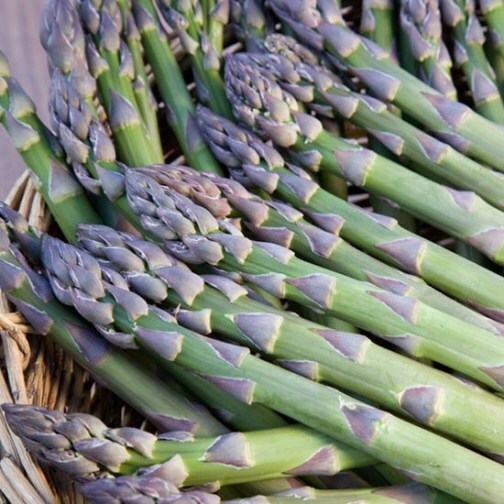 Asparagus can be grown from seed but it is easier and faster to transplant roots into the garden. Plant in early spring for a small harvest in late spring. 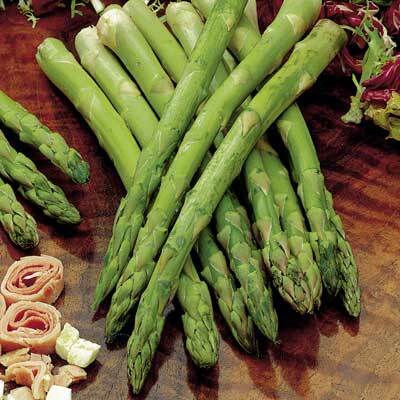 Asparagus is a perennial and will come back for years to come with larger harvest each year. Underground roots continue to grow each year. 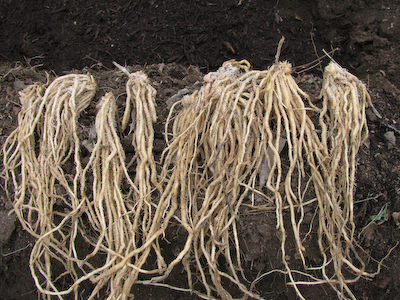 Root systems can get large and take over, sometimes it is best to plant in a contained area. Mary Washington is a popular heirloom variety. Jersey Giant asparagus roots are a very high yielding giant asparagus that produces an abundance of flavorful and succulent spears! 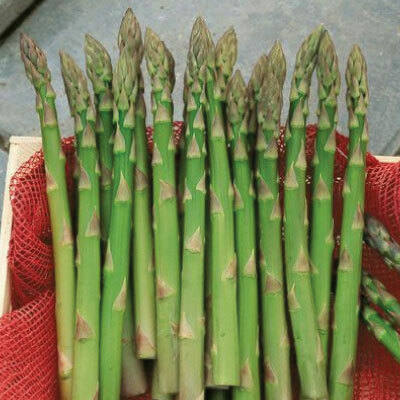 The Jersey Knight asparagus roots yields 3-4 times more than any other variety! These predominantly male plants are disease resistant and vigorous growers. 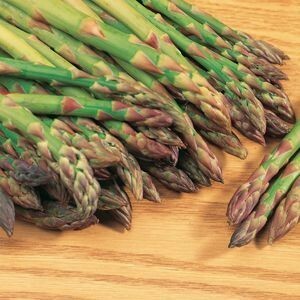 The delicious, crisp, rich dark green Mary Washington is America's most popular asparagus plant for a reason! This perennial can be enjoyed year after year. 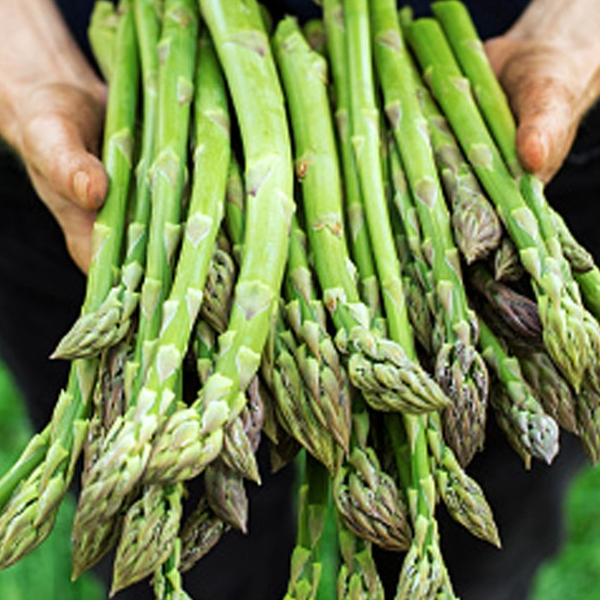 Millennium asparagus has become very popular in Canada and the United States for its productivity, tender high quality spears, and good flavor. 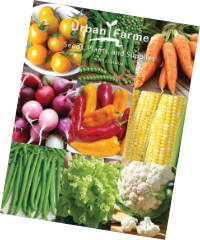 The popular mix is a selection of the best asparagus roots, Mary Washington, Purple Passion and Jersey Giant, for any home garden. 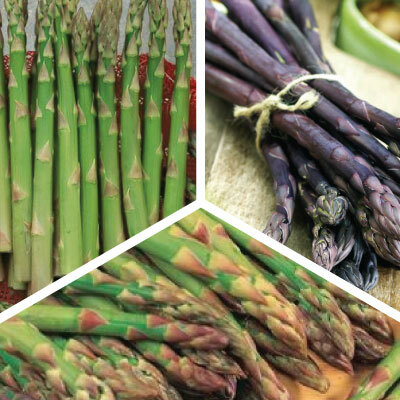 Purple Passion asparagus roots produce very nutritious and delicious dark purple perennial asparagus that are fun and colorful to grow in your garden. The Purple Passion asparagus is a very nutritious and delicious dark purple perennial asparagus that is fun and colorful to grow in your garden. 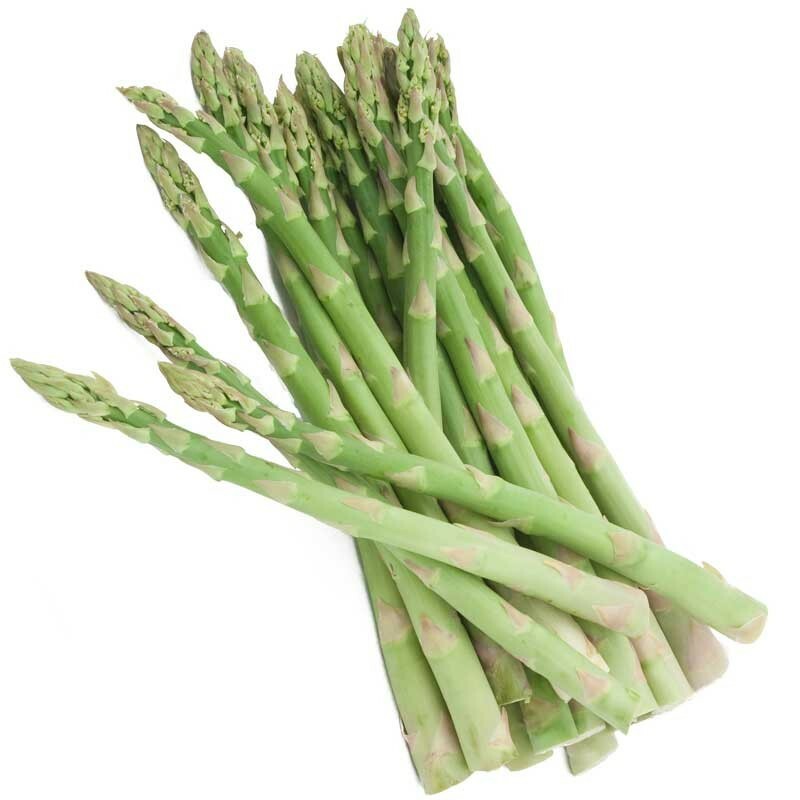 The UC157 F2 asparagus is one of the most popular asparagus in the world for its early spears that have uniform light green, tight and tapering heads.